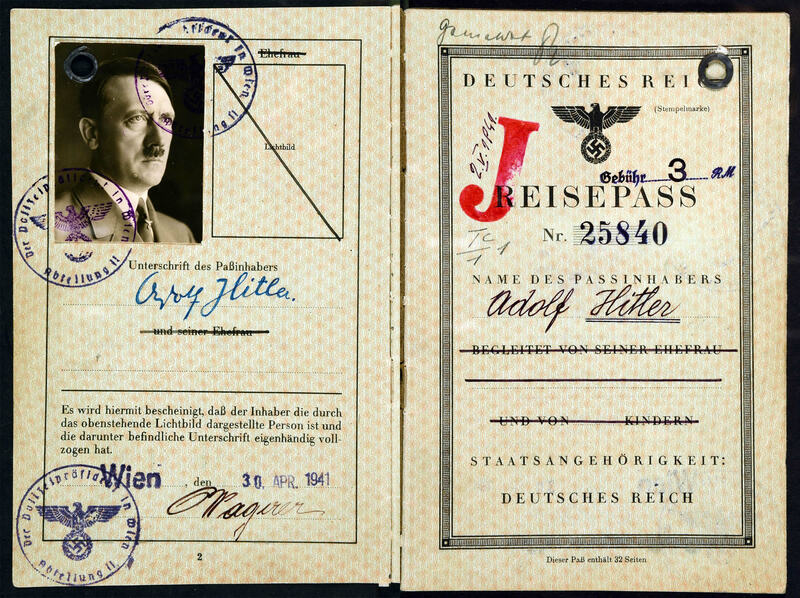 A fake passport for Hitler made by the Special Operation Executive forgery section. Fake identities and knitting needles have featured in the tactics of espionage from the First World War to the Cold War. The fake Hitler passport made by the secret service is just one of the many fascinating and unusual spy stories you can find in The National Archives. Listen and watch ‘Traitors and spies’ on our Media Player website. Read articles about ‘Traitors and spies’ on our blog.